Before we go any further speaking about what you have just seen above, I need to lay down the ground rules of what I am going to reveal to you. This, is the best restaurant in the world. Now, you can think that it’s just my opinion, but it’s ok…you can be wrong. Cape May, New Jersey is home to many fine eating establishments. Also, it’s my favorite place on earth…by a long shot. It’s beautiful. 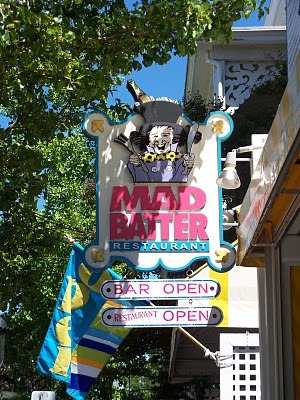 Victoriant, small, and amazing food *that’s usually why I like a place*Mad Batter on Jackson Street. 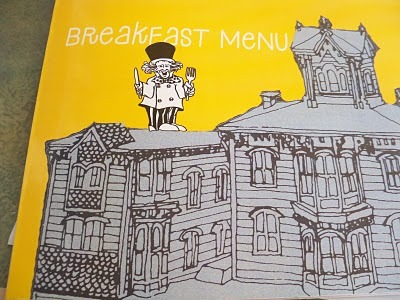 I would recommend this only if you are prepared to feast upon God’s breakfast, that is the best pancakes I have ever eaten in my life. 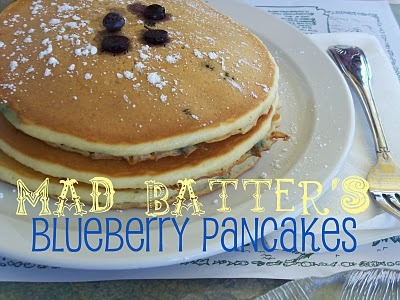 It is so hard to decide for others, such as Torey and my mother…..but I never have trouble at Mad Batter. Here. Here they are. I’m going to pause just for a moment so you can really think about what these pancakes have done for my life…………………………………………………………………………………………………………………………………………………………………….. If these pancakes arn’t in heaven….I might need to have a talking with the big man himself. Now the second. I, being the over-obsessed blueberry pancake eater…had a hearty appetite for these delicious circles of moistness. 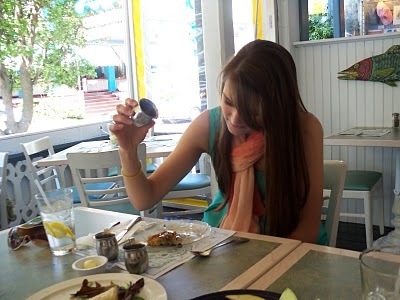 The cute little syrup canisters were amazing (as you can see I liked them a little tooo much…I have three of them sitting in front of me ;)The joy that blueberry pancakes bring to me is unmatchable. Savoring those last bites wasn’t a hard task to me. 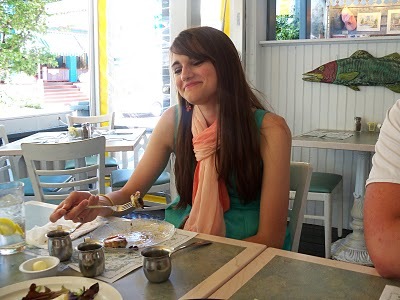 Oh..want to know what happened to the pancakes that Jared couldn’t finish. Well, I took them back to the hotel, wrapped them up in the plastic that covers the plastic cups in a hotel room…and put them in the cooler. It was such a great idea until I went to eat them last night…and something had grown on them..or attached to them. I don’t know what it was…but I actually started sobbing as I threw them into the waste can. I have trouble talking about it actually. Best time, best friends, best food. 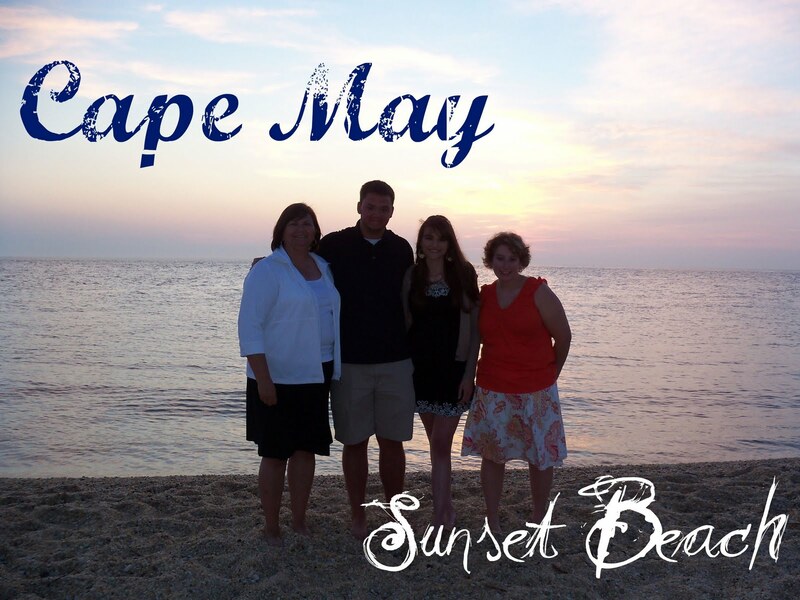 Cape May is my true love.